This 1970 1971 1972 1973 1974 1975 1976 1977 1978 1979 1980 1981 1982 1983 1984 1985 1986 1987 1988 1989 1990 1991 1992 1993 1994 1995 Jeep Renegade stripe kit is manufactured to meet or exceed OEM stripe/decal standards. Your Jeep 4x4 deserves the best customization/restoration stripe kit on the market. 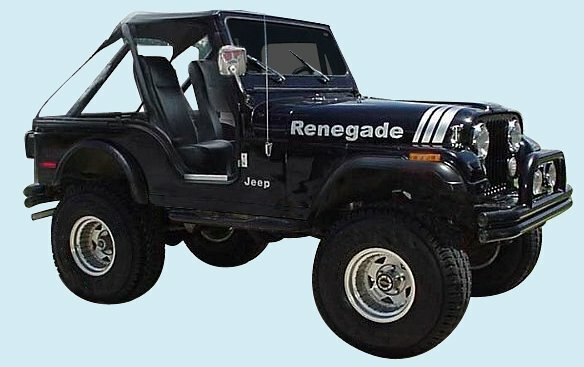 Our Jeep-style stripe and decal kits will enhance or restore your classic Renegade to factory specifications.